Nexus was the first comic book I can remember reading as a kid, not so much reading because at age 6 I guarantee I didn't understand any of the complexities of that book. I would sneak into my brother Greg's room and flip through his copies of Nexus and that is what's responsible for me doing what I do now, some 23 years later. Support Steve by purchasing some of his amazing originals and especially if you haven't read Nexus before. Now's the perfect time to start and what better way than to get them straight from the guy who made them! CLICK HERE TO BE AMAZED! I gave this TWART a lot of extra love because I feel so strongly about this book and The DUDE behind it. 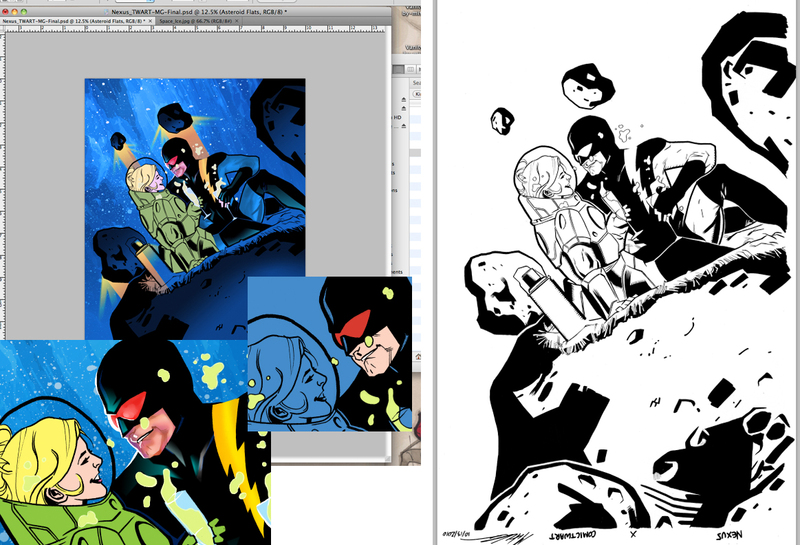 I also included some process work from inks to final color for ya, cuz I know youze guys dig that stuff. As much as I love your colors, I prefer the inked version. Your inks (and pencils) are outstanding. You're a swell guy, pal AND you've done a great job here! Bravo! I check out the Twarts every week and I got to say i love this piece! 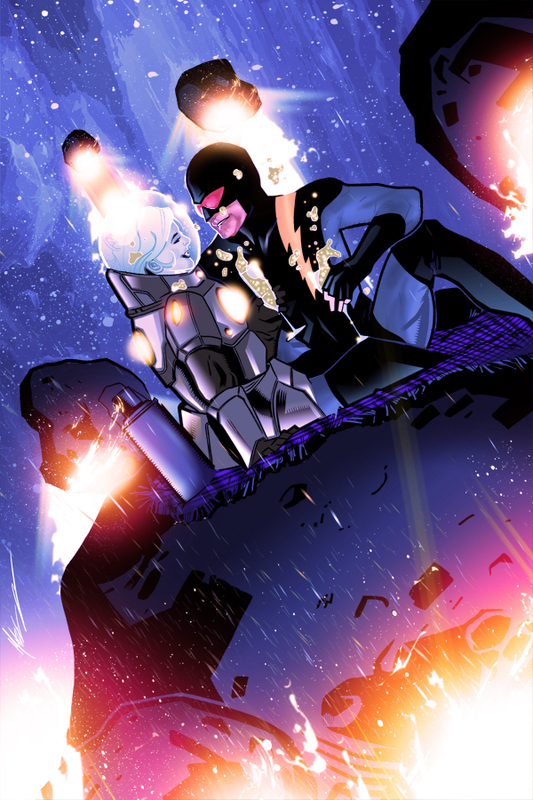 Im a fan of Nexus and of Steve Rude. Great job! Thanks DOODZ! As I said, this one I had a incredibly good time with and it's cool you noticed! Josh, will I be seeing you at Fallcon this weekend?